Carmex lip balm is available in a variety of forms, flavors and with sun protection so there is sure to be one that is perfect for you. There’s a reason this is our best seller. 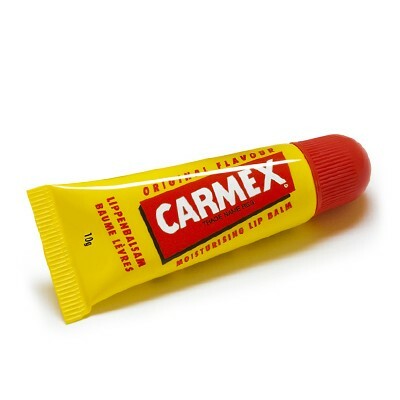 The Original Tube provides soothing relief that aids moisturization in a squeezable applicator allowing users control over how much or how little they apply to their lips. The smooth-glide tube formula eases over tender, cracked lips with a “lip feel” that is very popular with users – not too thick and not too waxy. A formula with menthol and camphor provides cooling pain relief. Our glide-on balm includes cocoa butter for smooth, velvety feel plus a touch of mineral oil to help soften and hydrate skin. Your skin’s lipid bilayer is made up of two layers of fatty acids; its job is to help keep moisture in the skin. Our Original Tube includes lanolin, which replicates the way the lipid bilayer in your skin retains moisture. Not many lip balms have been around 75 years. But then, no other lip balm has Carmex’s time-tested formula. Generations have relied on our iconic white jar with its yellow cap to help moisturization, prevent dry lips and treat cold sore symptoms. 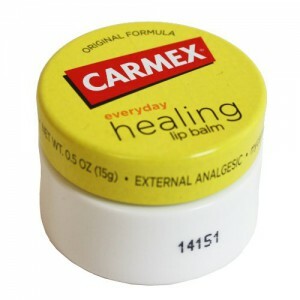 No wonder pharmacists have ranked Carmex the #1 recommended lip balm for 14 straight years. 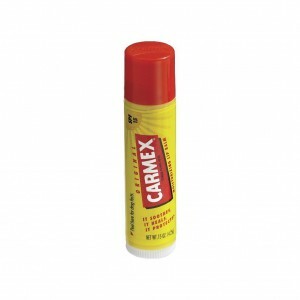 Formulas with camphor and menthol soothe severely dry lips and pain from cold sores. We add petrolatum because it creates a long-lasting water barrier, acting like a bandage while healing takes place. Your skin’s lipid bilayer is made up of two layers of fatty acids; its job is to help keep moisture in the skin. Our Original Jar includes lanolin, which replicates the way the lipid bilayer in your skin retains moisture. Our Original Stick replenishes your lips with a hard-working formula that aids moisturization, provides broad spectrum sun protection, and includes up to 80 minutes of water resistance. In fact, our formulation meets the government’s highest standard for water resistance. The Original Stick provides broad spectrum sun protection (against UVA and UVB rays). Our formula adds petrolatum because it aids moisturization and creates a long-lasting water barrier. Formulas with cocoa seed butter help moisturization. Our stick formula has staying power thanks to candelilla wax.